Hadoop Summit 2013: Where is Apache Hadoop heading? Relational databases may have hit a wall of late, but the SQL query engine seems poised for wider growth. Starburst, a retro startup of sorts, is among those looking to take it wider still. Although the relational database has been severely challenged in recent years, the fate of SQL, its compatriot query language, has been a bit more positive. SQL-on-Hadoop products have carried the SQL query engine into the bazaar known as the Hadoop ecosystem and, as the Hadoop distributed framework has encountered its own challenges, what could be called SQL-on-anything software is emerging to carry the baton. That is important because SQL continues to benefit from the support of a deep talent pool of data analysts. Their ranks outnumber those of statisticians and data scientists. Original SQL-on-Hadoop had to deal with batch operations, which were not on par with familiar interactive SQL processing. Hive, Drill, Impala, Presto and other tools came along to fill the SQL query engine performance gap for Hadoop. These and other tools seem to be morphing a bit -- looking to handle not just Hadoop, but any kind of data. As cloud becomes a prime destination, SQL engines that can efficiently query object storage may be the next step forward. A newish competitor on the SQL query engine scene is Starburst. Newish because the company had an early go of it as Hadapt back in the first days of SQL-on-Hadoop, but has reappeared under a new banner. Hadapt was bought by Teradata in 2014, but was spun out again at the end of 2017 as Starburst Data, its principals in the meantime having helped Teradata improve the open source Presto SQL engine that was ceded to the company for enterprise ruggedizing by Facebook, Presto's originator. 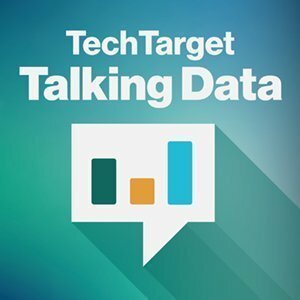 The Talking Data podcast recently caught up with Starburst Data CEO Justin Borgman to get his view on the trends in SQL engines today. He emphasized that SQL remains a go-to tool for many, and its presence in today's big data analytics teams is well-established. He also said SQL's querying capabilities are being applied beyond Hadoop data, coming to encompass cloud object storage as well. "Even though we might be moving on from SQL-on-Hadoop to SQL-on-anything, the SQL piece is an important constant," he said. "That's the language that so many applications and business intelligence tools speak." Listen to this podcast to find out more about trends for SQL query engines. As data becomes more varied, what role will SQL engines play in your organization?